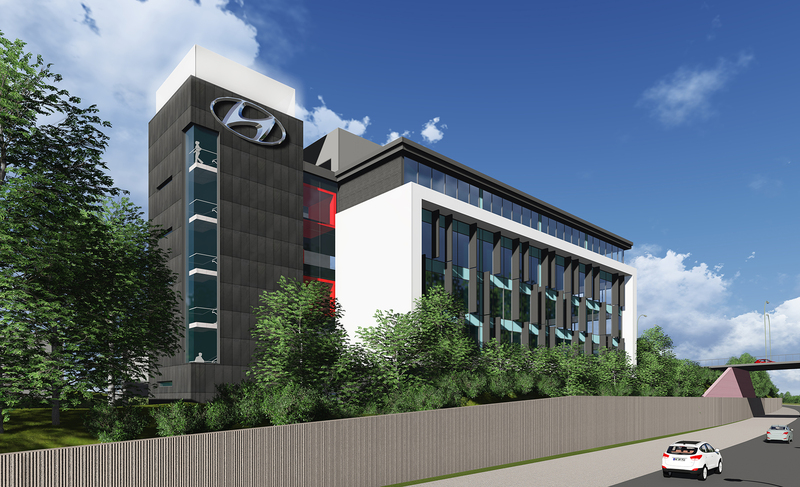 Currently located in High Wycombe, Hyundai (UK) aspired to relocate to a London address within the M25 circular. We worked closely with the developer, Meyer Bergman, on an opportunity to provide a new flagship office development on a site in Hillingdon, London. Our scheme supported the overall master plan which includes a hotel, residential and extra care facilities. The design of the office was refined to ensure all key elevations responded to the A40 and A437 bordering the 1.8 acre plot, with the entrance forming a focal vista on the master plan. 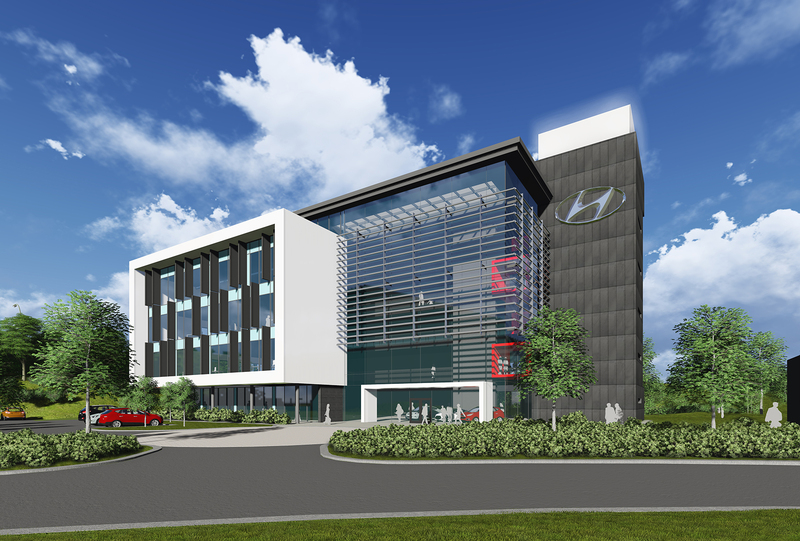 Our feasibility and concept designs produced a 50,850 square foot four-storey office building for 525 staff, with external landscaping, car parking and ancillary facilities. An internal atrium, as a focal point to the offices, showcased Hyundai’s selection of Cars.